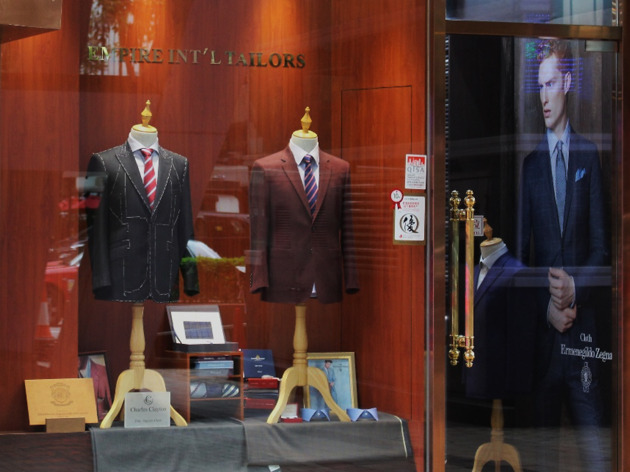 While Hong Kong is known widely for the 24-hour suit, Empire International Tailors refuse to rush their creations. The iconic family run-shop has been around since 1983, and has been recognised internationally as a leading custom suit maker. 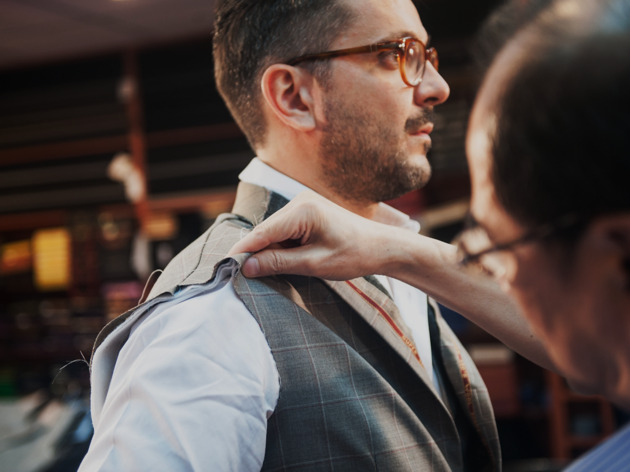 With customers from around the globe, Empire’s jet setting tailors are also known for their frequent pop-up trunk shows across the United States, Canada, Europe, and Australia. 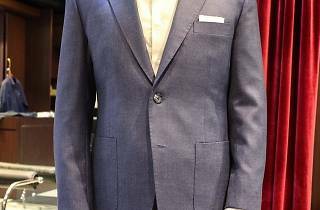 The shop’s reputation derives from its non-rushed and relaxed approach to bespoke tailoring. 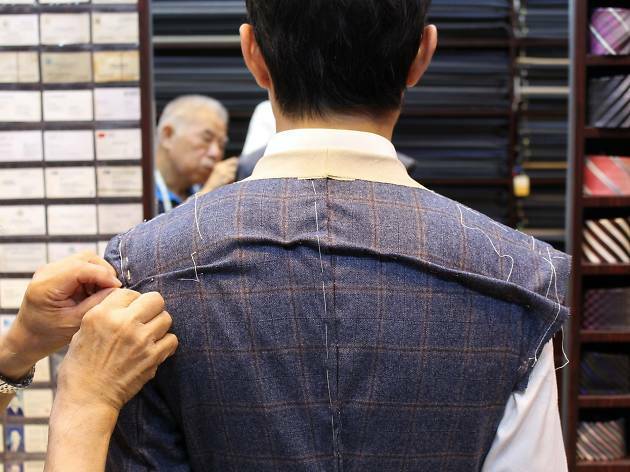 Time and care is taken with every single design, all cut and handmade by Empire's original Hong Kong tailors in their on-site workshop just below the TST storefront. The house cut consists of a generally slim and tapered silhouette with lightly padded shoulders, a modern and ready-for-business look. "We usually aim for a good balance, a subtle yet aggressive look, something bold yet business appropriate. As most of our clients are looking to wear their outfits in business environments, they want to be taken seriously yet look fashionable. Even our more conservative dressers tend to add some modern elements to their suits" says Mark Asaf, Consultant at Empire. 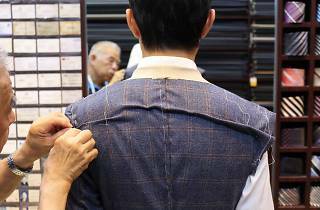 The process starts with an initial meeting to hammer out the specifics of the suit – when and where it will be worn, your preferred fit, and even your shape and posture. From there, and after a fabric is selected, it's fitting time. 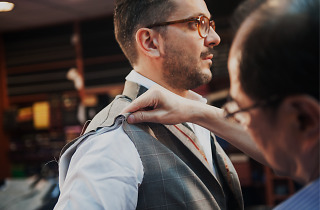 Over two to three fitting sessions, time and care is taken to make sure that every single detail meets your requirements to a tee. 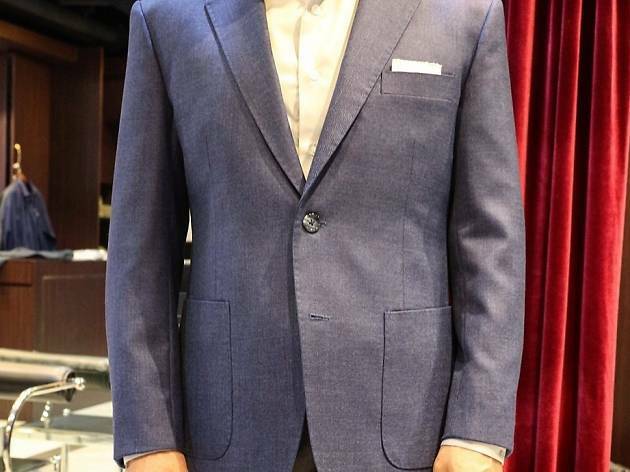 “Constructing a slim-fit suit isn’t easy, at least a few fittings are necessary” says Asaf. 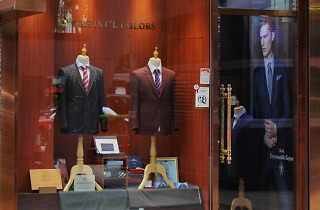 Empire International Tailors is proof that sometimes, good things do come to those who wait. For more information, head to empiretailors.com.